We have the professionals on the fields that can assist you with your aviation needs. 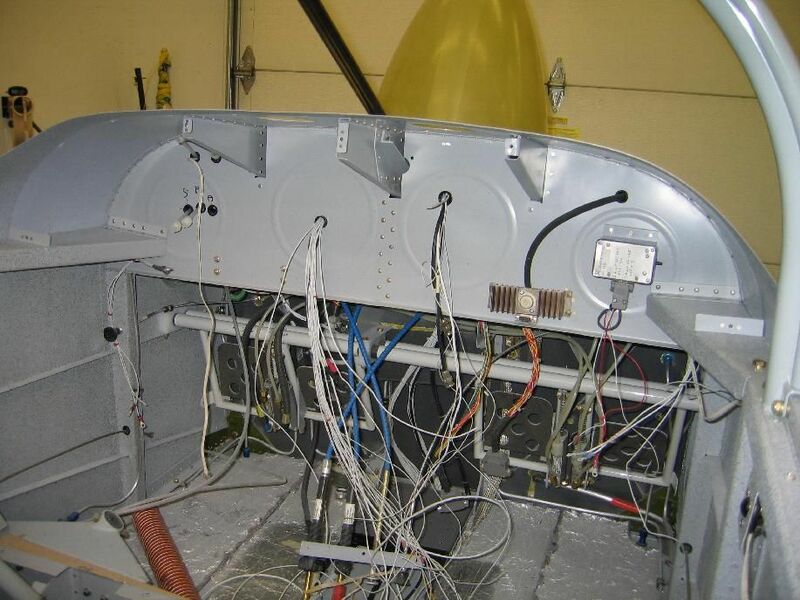 Akerman Aviation – Annual Inspections and 100 hour Inspections, Preventative Maintenance and Servicing, Weighing Services and Phillips Aviation Oil Dealer. First Landings Aviation – First Landings Aviation is your home for Sport Pilot Training and Aircraft Rental. Affordable, achievable and fun. Sport Pilot is for you! The Sport Pilot license represents a new way to fly that is safe, fun, and more affordable. The Sport Pilot license allows those interested in flight to obtain their rating in half the time and for half the cost of the traditional Private Pilot certificate. So climb aboard, take the controls, and launch into new adventures in aviation today. 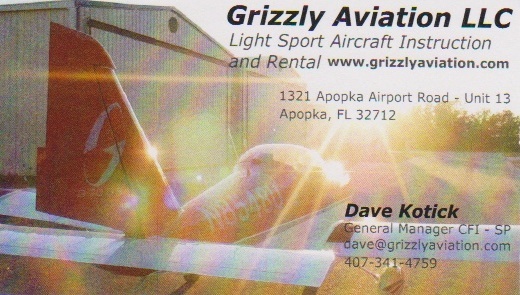 Grizzly Aviation – Specializing in Sport Aviation training, education and services; Light Sport aircraft rental and instruction. What is the Sport Pilot Rule: The opportunity for the person interested in aviation, for sport or recreation purposes , to get ‘in the air’ faster and at a lower cost than ever before! To request your business be added or removed please leave a message at (407) 308-KX04 (5904) or send an e-mail to OAAOwnersAssoc@OrlX04.org.